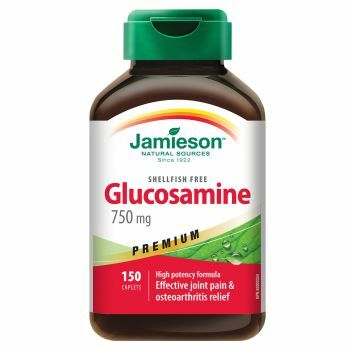 Jamiesonglucosamine Chondroitin 500 mg softgels help maintain healthy joints and cartilage and relieve joint pain associated with osteoarthritis. The easy-to-swallow softgels are also shellfish-free. Benefits: Relieves joint pain and osteoarthritis symptoms Helps prevent cartilage deterioration Supports vital joint and bone health and pain-free movement of hands, wrists, hips, ankles, knees, neck and back Shellfish-free formula.